The day had arrived! I couldn’t wait to see the bride and every detail of the wedding that my TV screen would allow me to see. So that morning, I was super excited to turn on the television and watch with the rest of the world as the bride stepped out of the car to the cheers of thousands of people who lined the streets to get a glimpse of her. And there she was, more beautiful than I could have imagined in what I thought was a white “princess” gown; I found out later it was actually ivory. Remember, I was watching this on a TV screen, back in the 80’s. It had lace, big puffy sleeves, which were all the rage back then, and the longest train I had ever seen; 25 feet to be exact. Wow! She was beautiful and radiant. There’s just something about a bride on her wedding day that takes your breath away. It was in those moments as I watched her being helped out of the carriage, enter the church, walk down the aisle to meet her groom, repeat her vows and exit the church as man and wife, that I feel in love with weddings. It was July 29, 1981, the wedding day of Prince Charles and Lady Diana Spencer, who loving became known to everyone as Princess Diana. Before that day I had never given any thought to weddings, mine or anyone else’s. But there was something about the tradition, pageantry, beauty and elegance of that wedding. I was hooked and didn’t realize it for many years. I remember traveling to the U.S. a week or so later and I purchased every magazine and tabloid I could find with photos of the wedding. I cherished those for years; sadly I don’t have them anymore. As the years went on, I, and the rest of the world, grew to love Princess Diana not only as a bride but as woman and mother. My love for parties and weddings grew too. Back in 1981, in the islands of the Bahamas, that teenage girl could not have imagined that she would get to serve others in planning and executing their weddings and social events. But that is exactly what I get to do today. I get to create royal and whimsical baby showers, magical birthday parties, and weddings fit for a prince and princess. I get to bring my clients visions and dreams to life and I am humbled and honored to do so. 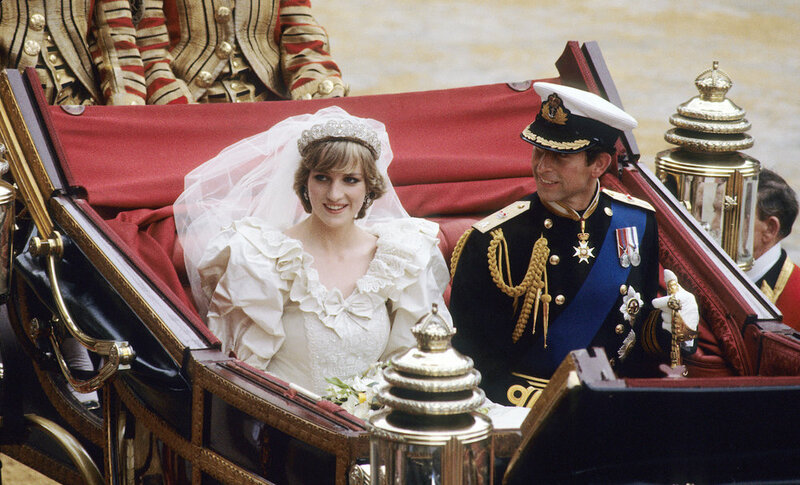 As the world reflects on the 20th anniversary of Princess Diana’s death, I reflect on the day that I believe she truly stepped into the world’s spotlight, her wedding day. She would touch so many lives during her lifetime with her compassion for and service to others. She’s left a lasting legacy for her sons and their children. And in a very small, insignificant way, she made an impact on me. Her wedding ignited within me a desire to touch lives by creating unique celebrations and unforgettable memories for life’s many milestones. Thank you Princess Diana!